Titleist's AVX offers remarkable distance with exceptionally soft fee. The AVX utilizes breakthrough core, cover and aerodynamic technology. AVX is a premium performance golf ball for golfers who prioritize distance and extremely soft feel with a piercing, low ball flight. Titleist &apos;s AVX offers remarkable distance with exceptionally soft fee. The AVX utilizes breakthrough core, cover and aerodynamic technology. 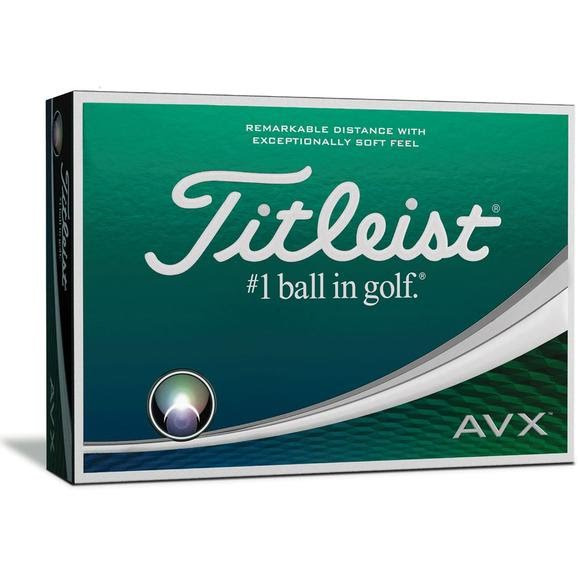 AVX is a premium performance golf ball for golfers who prioritize distance and extremely soft feel with a piercing, low ball flight. It has been engineered to be the lowest flying, lowest spinning and softest feeling high performance golf ball in the Titleist line.